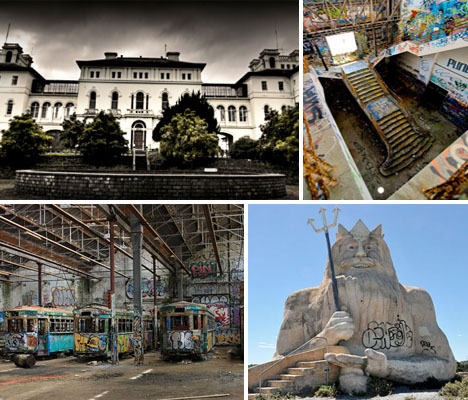 Whether covered in colorful graffiti or slowly disappearing under a profusion of moss and vines, Australia’s most intriguing abandoned places share the same sense of mournful decay as landmarks that are nearly lost to the ravages of time. 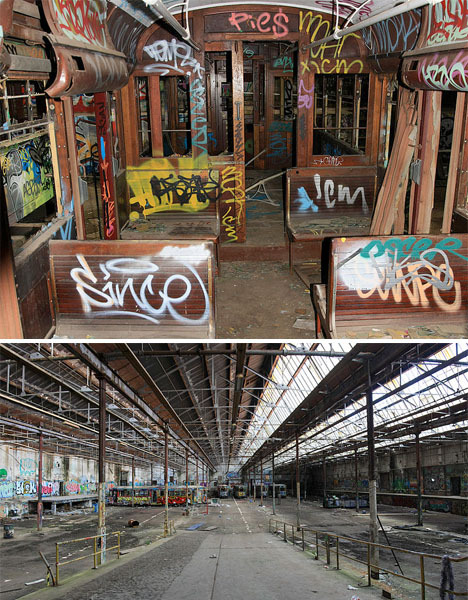 These 7 wonders of abandoned Australia include historic tram stations, theme parks, asylums and factories. 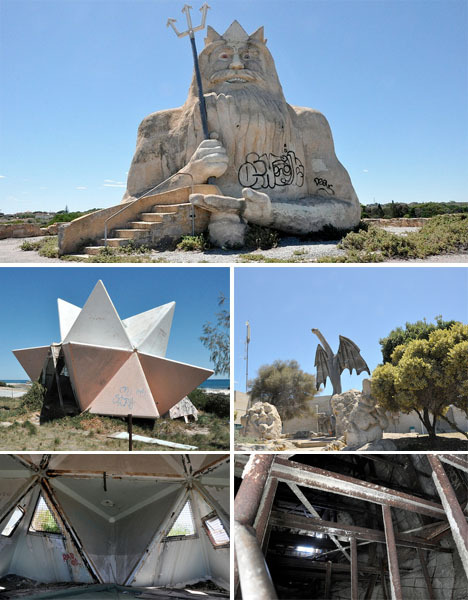 A massive statue of King Neptune still looks out over a marine park that’s been closed for nearly 25 years. Atlantis Marine Park opened in Yanchep, Western Australia in 1981 and hosted the typical array of aquarium wildlife like dolphins, sea lions, penguins and seals. But in the late 1980s, regulations about the size of enclosures for dolphins changed, and accommodating them proved too costly for the owners. All nine dolphins were rehabilitated and released back into the wild, but when three of them failed to thrive, they were relocated to another marine park. Since then, the property has been in limbo, with much of the ruins retaken by nature. No fences keep out members of the public, so anyone can get in to take photos and enjoy the views of the ocean. Members of the community have petitioned to restore the park, but the property owners plan to develop the space for residential and commercial use. 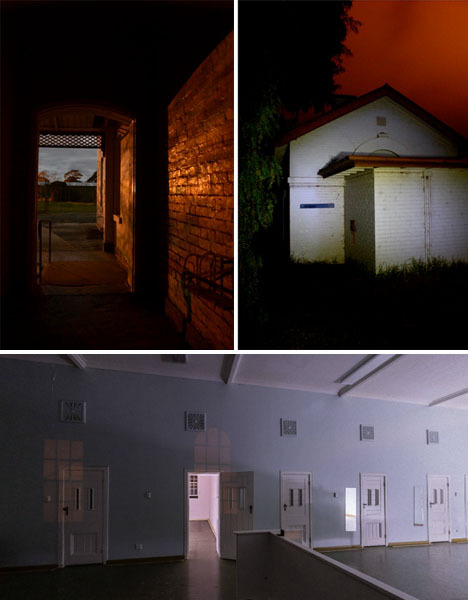 Built in 1863, Aradale Mental Hospital was an Australian psychiatric hospital built to accommodate the burgeoning population of ‘lunatics’ in Victoria. Designed as a town within a town, it had its own gardens, markets, orchard, vineyards, pig farm and other livestock along with hundreds of staff. The Victorian complex was built high on a hill and held thousands of patients in 18 wards until 1993. 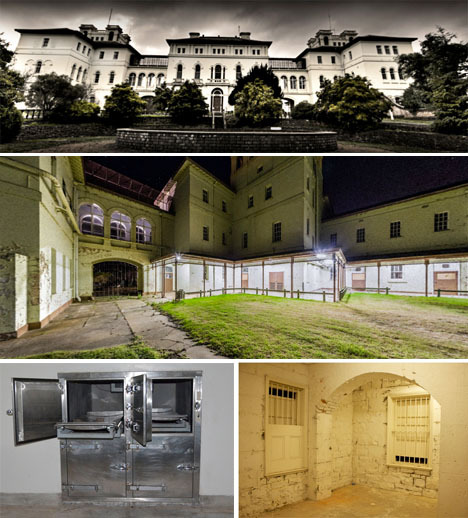 It held female prisoners until 2001 during the renovation of a nearby facility, and then closed for good. Companies like Aradale Ghost Tours now take curious visitors through the complex, including the morgue. And how was it that Victoria was home to so many so-called lunatics? It was common during that time, all over the world, for people with conditions like Down Syndrome, epilepsy or autism to be declared insane. Sometimes, all it took was postpartum depression, homosexuality or ‘promiscuous behavior’ to be institutionalized for life. Sometimes the most striking abandonments are those that are so overgrown, they’re almost entirely hidden. 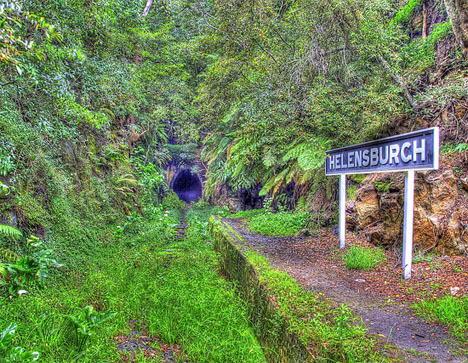 Such is the case with the Helensburgh train station in New South Wales. Left to decay since 1915, when a new station was built about 200 meters to the north, this stone-walled relic is all rust and rotting wood, lush with ferns, moss and ivy. Unsurprisingly, it’s an irresistible attraction for photographers – check out some stunning photos by Tom Jarman at Urban Ghosts Media. Once the second-largest tram depot servicing Sydney and among the most sophisticated public tramway systems in the world, the Rozelle station in Glebe was open from 1918 until 1958. Six 1930s trams, mostly gutted on the inside, still sit inside the station so many decades later. 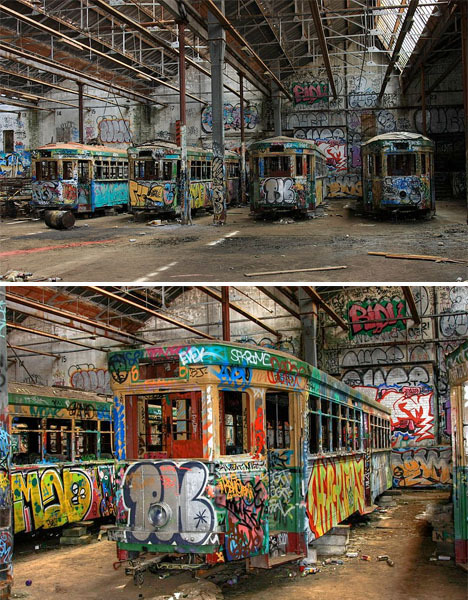 Though they may have been abandoned inside this massive concrete and steel facility, they’re now practically works of modern urban art, brightly colored and covered in layer upon layer of graffiti. The trams were in near-mint condition prior to 2000, and could have been beautiful historical artifacts if not for the vandalism that began around that time. The whole property has been purchased by a developer, who plans to turn the site into medium density housing.